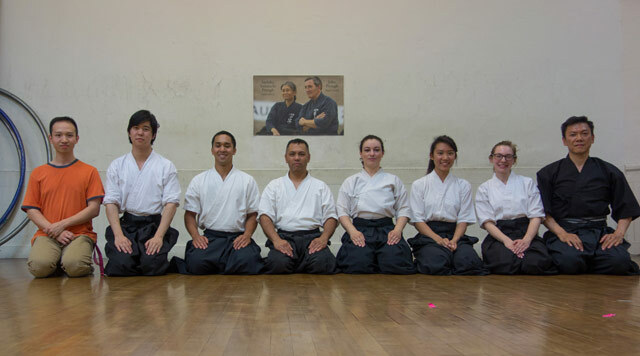 We held our last Naginata class in Kazuko Hirabayashi Dance Theatre on June 28, 2014. The studio is being sold and we are moving to a new practice space. 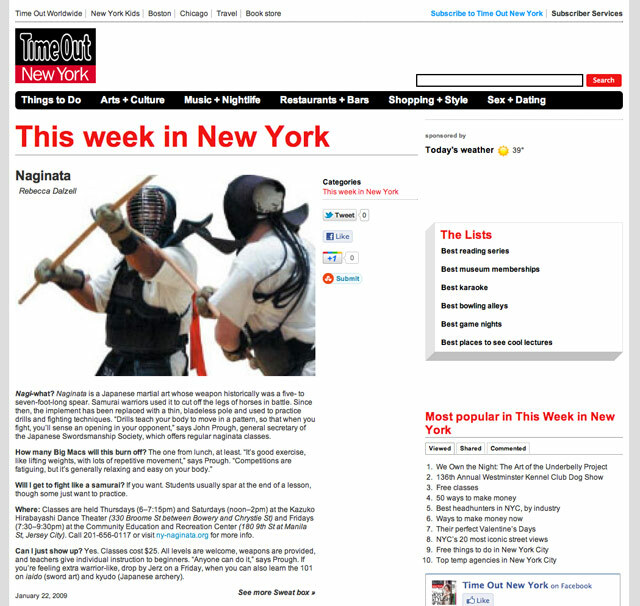 We were featured in the “This week in New York” section of Time Out New York. On August 6-10, 2008 we celebrated our 25th Anniversary of JSS with a Summer camp in Bryn Mawr, PA. 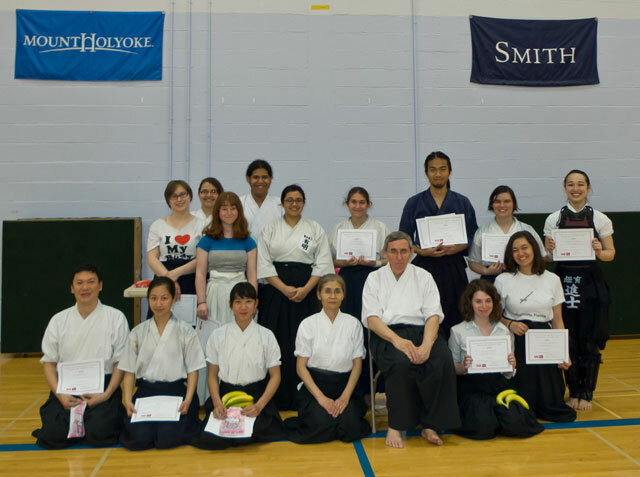 It included parallel seminars inIaido, Naginata, Kendo and Jodo. Mark Bonanomi and Margaret Murphy - Ikkyu. Saturday, July 26. 2008 at San Jose State University, Ca. Congratulations! All 2008 GNYNF team members. And Thank you for our members cooperations. October 12-24, 2007 in Capital Area Budokan, Alexandria, VA.
September 1st, 2007 in Brussels, Belgium. October 13-15, 2006 in Watertown, MA. The Instructors for the Seminar were: Miyako Tanaka, Kyoshi; Sachiko Yamauchi, Kyoshi; Takami Tanner, Godan; and Fran Vall Yondan. Among other visitors to the ECNF were Andy Gibson, Sandan from Denver, Louraine D’Artois, Sandra Jorgenson, and Antoine Fromentin from the CNF. 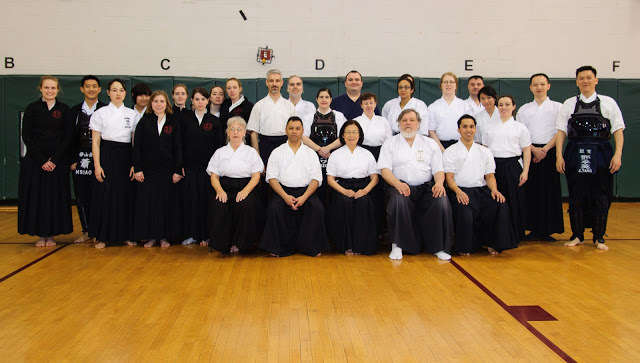 This camp was two-fold in that it was the normal Naginata camp and at the same time the try-outs for the USA Team for the 4th World Naginata Championship in Brussels, Belgium in 2007. There was some concern at the time that choosing a team over a year in advance would cause a problem if a team member had to drop out for whatever reason. This proved to be a real concern. The camp itself was sparsely attended and the USNF lost money on the guarantee of at least 40. Even the NoCal members were not all there for the camp. There has not been a USNF Naginata Camp since this one. The World Championship took all the efforts of the USNF in 2007. In 2008, holding an election for new officers seems to have a similar effect. This match represented the shift of momentum in Naginata east ward. This was a quarter final between Takami Turner, Godan, from RMNF and Katie Roche, Shodan, from GNYNF. For video of womens indiv. shiai match between Katie Roche and Takami Tanner at the 2006 national campionship click here. October 2004 in Glen Burney, MD. The 6th Annual NY Naginata Seminar and 4nd Annual Naginata Taikai was held at the CERC on the weekend of March 18-20, 2005. The 5th Annual NY Naginata Seminar and 3nd Annual Naginata Taikai was held at the CERC on the weekend of March 26-28, 2004. On June 28 & 29, 2003 the INF World Championship was held in San Jose California at San Jose State Univeristy. Nichibukan members win two first place titles in Friendship Tournament. April 25 & 26, 2003 Yamauchi Sensei attended special high level naginata training in Nagoya Japan. This was followed on May 2 by a day of training in Kizu of Tendo Ryu. The next day at the 99th Annual Kyoto Taikai, Yamauchi Sensei and Tanaka Sensei demostrated Tendo Ryu. The next Seminar and Taikai are already scheduled for March 26-28, 2004! Nichibukan Naginata held a 4 hour naginata seminar at Bryn Mawr College on November 23, 2002, February 8, 2003 and March 15, 2003. The ECNF held its annual fall seminar for 2002 in Northern Virginia on the weekend of November 8-10. For photos, ECNF members can logon to ECNF Yahoo group. 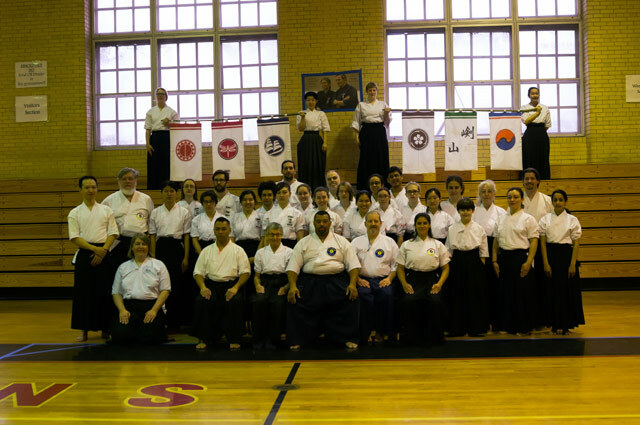 The USNF held its Seminar and Taikai on July 10-14, 2003 outside Philadelphia. Yamauchi Sensei assisted by Margaret Welsh conducted a Naginata Seminar in Eaton PA on April 27, 2002. 18 very interested people with a variety of Budo backgrounds got a nice introduction to Naginata during the 4 hour seminar.